Tasting Samples Your wines provide advertising for you in the Wine Guide - free of charge! Show the world what your wines have to offer! The Wein-Plus Wine Guide displays all ratings and tasting notes online, directly one day after the tasting: totally up-to-date information for you, the entire world of wine and every wine lover, with a comprehensive description of the wines and a rating that is known for its reliability. Quality seals and certificates create confidence, and are without a doubt a great help in marketing. 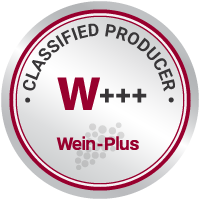 Seals issued by Wein-Plus benefit from the high esteem in which Wein-Plus is held with regard to its professional and neutral wine reviews, as well as for its high degree of acceptance and recognition among wine lovers and professionals. Would you like to generate more page visits and sales for your online shop? The source of supply function in the Wein-plus wine Guide allows importers to tell retilers how they can enhance their product range, and retailers can show consumers/readers where they can purchase their favourite wines. All just a question of settings. Simply enter your appropriate variant! Use a joint advertisement to achieve prominent visibility on the two most important information platforms on the topic of wine - Wein-plus and Google - at a very attractive coste. In a closely-knit community, members will support each other. For example, members like buying from other members. By offering a 5% discount for as a bonus for purchases made at your shop, you can create an additional incentive, advertising your status as a business member - and this entitles you to an extra banner slot free of charge. A message in your in-tray, correctly addressed, is not something one simply clicks away. It is precisely for this reason that the E-Mail marketing facility of Wein-plus is both secure and successful. Wein-Plus has access to a large pool of addresses, selectable in accordance with numerous criteria, from producers to re-selllers to consumers. You supply your contents - we take care of the technical implementation and despatch. 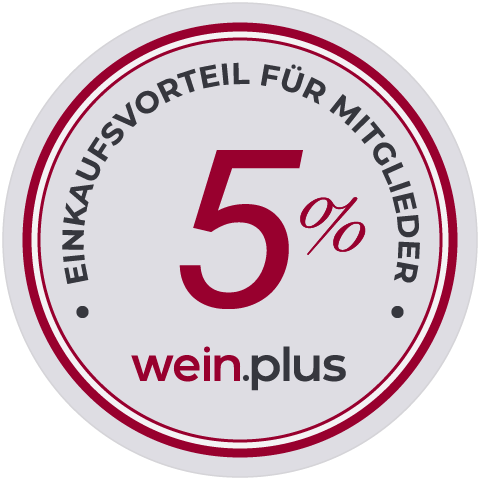 The Wein-Plus newsletter is read each month by 66.173 wine lovers and professionals who look forward to receiving it in their inbox. Use this opportunity to contact your audience at a cost of significantly less than one Euro-Cent per adressee. The group contracts negotiated by Wein-plus provide you with a multitude of money-saving options - financially as well as logistically and administratively. Together with strong partners in the industry you will find tailor-made solutions for your business. Use Wein-plus to add value to your own homepage. Here you can discover how you can be permitted to use contents from the Glossary, from the Wine News and from other areas, and how we can create very special exclusive benefits for visitors to your homepage by lifting the paywall function on our homepage.